We know, or think we know, what is going to happen. The Cunard liner Lusitania will be hit by a torpedo and sink; most of the passengers will die. What more can be said, and to what aim? 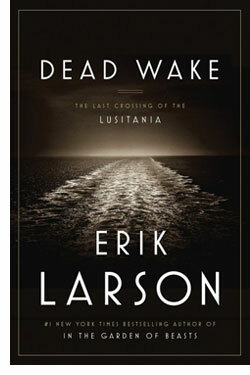 Erik Larson answers that question with 'Dead Wake,' a tightly written historical thriller that for all its meticulous documentation, creates character and suspense as well as any novel. Readers will find themselves in the peculiar position of rooting for the impossible. It's important to note that Larson is a stickler for accuracy. Everything in the book is sourced. I mention this up front because the reading experience is so immersive and novelistic that it's easy to forget you're reading a work of non-fiction. Using the sinking of the Lusitania as the centerpiece, Larson has very carefully crafted a work that offers a striking and sweeping vision of the world descending into chaos as the war that will eventually be called World War One begins. 'Dead Wake' itself begins at pier 54 on the Hudson River, on May 1, 1915, as Captain William Thomas Turner readies the Lusitania. Larson puts us effectively in the place and time of his work with sparse, effective world-building. 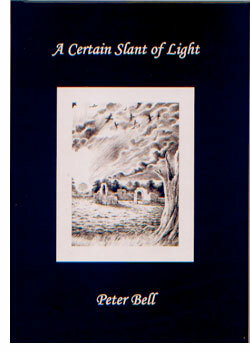 He knows the precise level of detail required to envelop readers in the perceptions of those whop were there. And in doing so, he immediately crafts an intense sense of suspense; will these passengers survive? On the other side of the equation, he lets us meet Captain Walther Schwieger of U-20, the German sub fated to sink the Lusitania. Here, Larson finds a disarmingly likable figure, a man who runs the "happy U-boat" with a managerial ruthlessness devoted to sinking the biggest ships he can bring down. But U-boat tech is seriously cutting edge, which in this case means that it barely and rarely works as advertised. Torpedoes are more miss than hit, and the flimsy confines of a steel tube in the ocean are prone to leaks and lack sonar. The plot is simple and tense; soon enough, the Lusitania will meet U-20, be torpedoed and sink in 18 minutes. Getting there is the key and Larson takes us from Washington DC, where we meet a depressed and love-struck President Woodrow Wilson, to Room 40 in the UK< where Winston Churchill is angling to get the Yanks dragged into this European War, to the war front itself, where soldiers jump and die to advance a battle line on the nightmarish landscape that would inspire J. R. R. Tolkien's Mordor. Larson makes all this seem relevant, seamless and crisply engaging. 'Dead Wake' offers all the involving thrills of a novel; great characters, complicated ethics and morals, tense situations, romance, and the world literally hanging in the balance, with the impact of non-fiction, to wit — it's all mind-bogglingly true. Larson assuredly fills in a lot of details about the sinking of the Lusitania that will be shockingly new to most readers, but the real appeal here is not simply the great facts, or even the great stories. 'Dead Wake' weaves facts in a manner that is equally artful and entertaining. Larson re-builds the past with his own personal style of prose, story and spectacle. For his readers, Erik Larson makes the past present.